The Macra na Feirme Presidential and Vice Presidential elections takes place in the Irish Farm Centre in Dublin today. 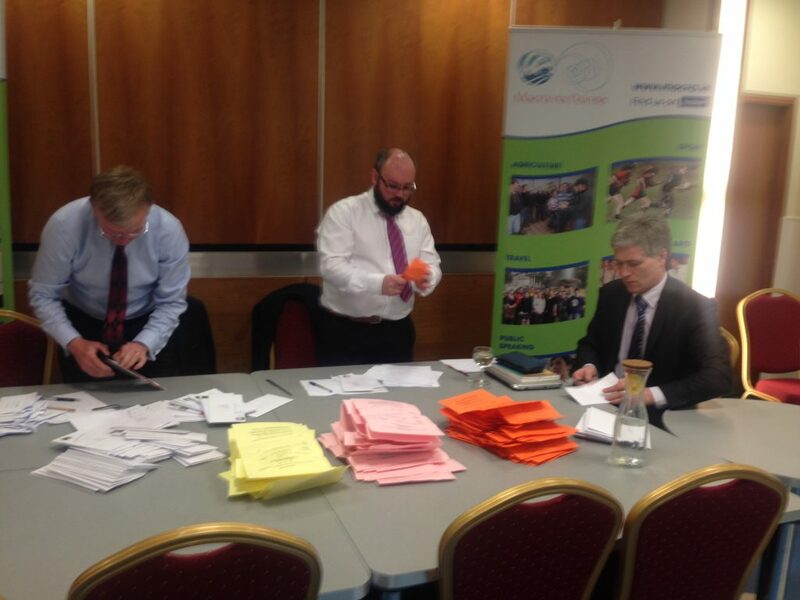 Counting of Finan’s first preference votes was interrupted when his tallyman was on the phone and O’Dowd insisted all tallymen pay closer attention to the voting procedure and ordered a recount. 185 votes were cast in the Presidential election. 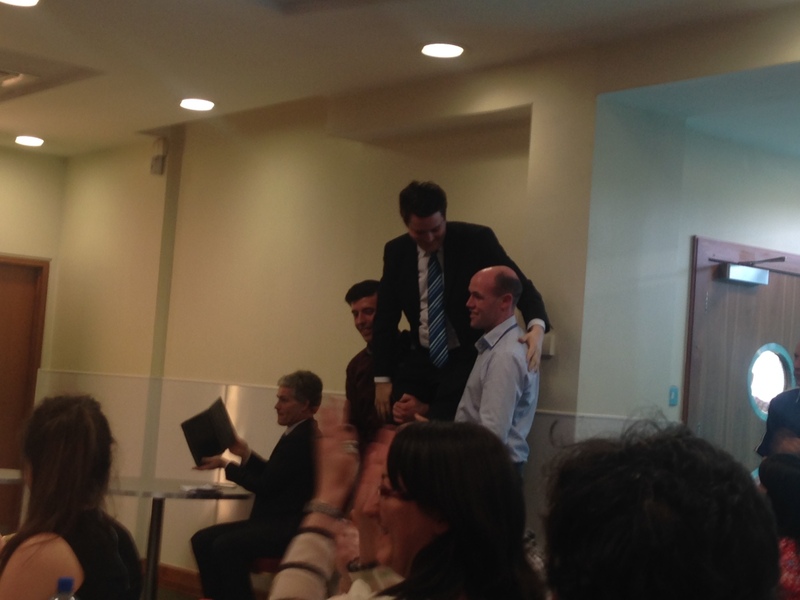 15.20 :In the race to become Leinster vice president some 55 votes were cast. Each vote was counted initially, before the votes were divided. All votes were present. The quota was 28. Noel Duffy got 23 first preference votes. Odile Evans received 27 first preference votes. Aoife Lanigan got five first preference votes. No candidate had reached the quota, so Aoife was eliminated and her votes were then distributed. Three went to Noel, brining him to 27, while two went to Odile, giving her 29 votes and the winner. 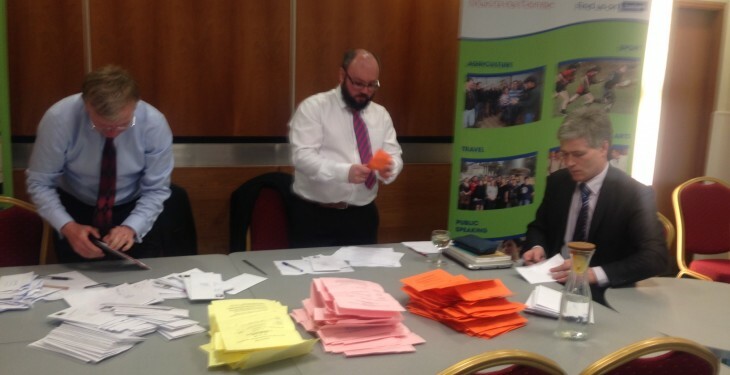 There was no indication early on, as ballot papers were separate – orange for President, pink for Leinster and yellow for the North West. No tallymen were on hand to see the initial first preference or, more importantly, where the transfers would go.